Saturday was the Walthamstow Annual Patch Watch Day, despite the date and fairly promising weather the count came in at 79, 9 species lower than last year. Highlights were a female Pied flycather found by Steven Harris , a couple of Arctic terns and this Whinchat that Paul picked out in the bomb crater field. I left around lunch and made my way south for another visit to Eastbourne and Beachy Head. 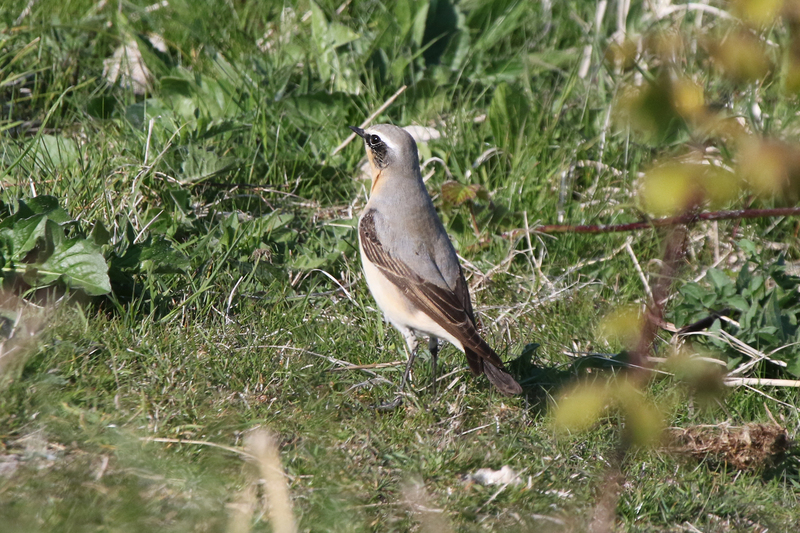 On arrival I birded around the Hollow and towards Shooter’s Bottom where I had 10+ Wheatears (at least one apparent Greenland, below) a couple of Willow Warblers, Lesser Whitethroats, Mediterranean Gulls but little else. Laurence and I started Sunday morning first thing with a sea watch from Birling Gap. I’ve never been really into sea watching but try to do abit at least once a year from Dunge in the spring or Cornwall in the late summer. Today wasn’t bad at all with lots of Poms not too far out, Arctics and a few Bonxies as well as a nice passage of waders. The rest of the day held little of real interest until our visit to west rise, mainly to look through the hirundines that gather there, especially with the rain. We had 2 Little terns through and a suprise Wryneck, both of which were new birds for Local Kris Gillam and Wryneck new for the site.